Friday, August 9th, 2013, 6:00 p.m. 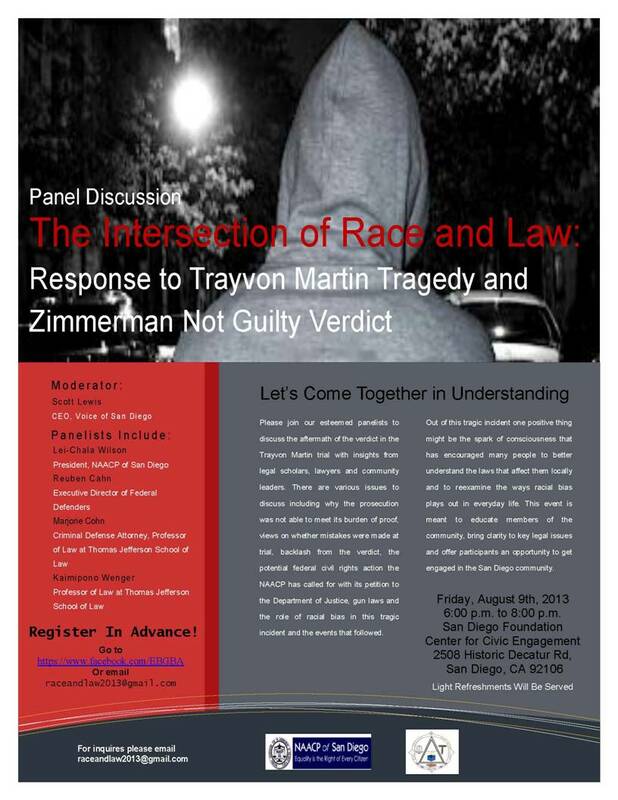 Please join our esteemed panelists to discuss the aftermath of the verdict in the Trayvon Martin trial with insights from legal scholars, lawyers and community leaders. This event is meant to educate members of the community, bring clarity to legal issues and offer participants an opportunity to get engaged in the San Diego community.